At Piriform we create award-winning software to make your computer faster, more secure and have greater privacy. Whether you're cleaning out files on your system with CCleaner, defragging your hard drive with Defraggler, analyzing your hardware with Speccy, or recovering deleted files with Recuva, we've got you covered. Piriform are global leaders in PC optimization software, with offices in London, New York and Cyprus. We're dedicated to creating the best applications for your PC. For company press announcements, visit our press release section. Our software is used and trusted by millions, in all 195 countries and in millions of businesses. In fact CCleaner alone has been installed more than 1 Billion times onto nearly 25% of all the PCs in the world. We've improved and optimized thousands of lines of code. Our developers aim for the fastest, most compact, bug free products you can run on your PC. Our team is a combination of late-working, highly-skilled staff and a heavy dose of caffeine. Together we design, create and maintain the software. We also have legions of dedicated volunteers who help test, support and translate our software into over 40 different languages! 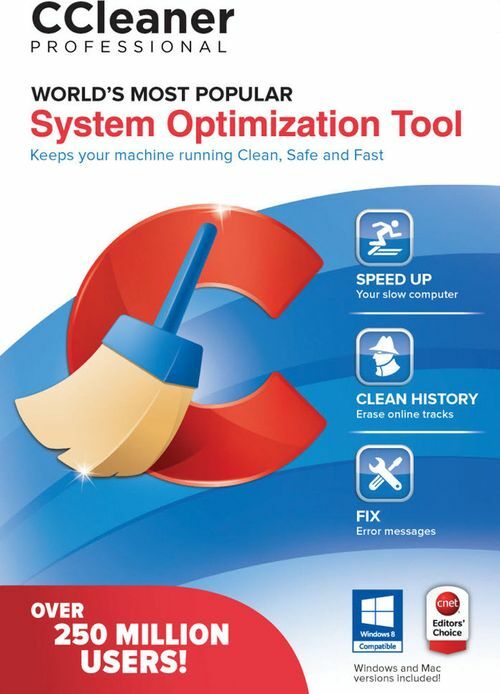 CCleaner's patented technology gives you healthier, optimized PCs. So you can get on with doing what you do best – running your business. When your network consists of large numbers of endpoints, visiting each one isn’t possible. With its centralized Admin Console, CCleaner Network gives you the power to ensure your endpoints are running clean, safe and fast without ever leaving your desk. CCleaner Network removes temporary files, memory dumps, log files, and other unneeded data. It also defragments hard drives. The result is endpoints that last longer. CCleaner Network helps with slow endpoints by removing extraneous files and clearing hard drive space. More efficient endpoints mean lower support costs. Uninstalled software can leave behind registry keys and broken items which can cause application and system crashes that lead to data loss. 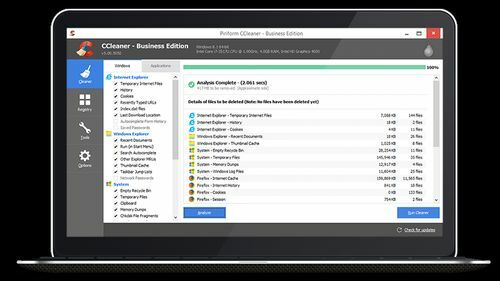 CCleaner Network improves system stability and helps prevent data loss by clearing out the registry. The first step in any PC Repair, PC Optimization or Backup. CCleaner Technician Edition is the easiest, fastest and most thorough means to clean a PC and improve your customer’s experience. Using CCleaner has never been so easy and fast. Run off a USB or through a remote session. Includes all upgrades and updates. Reduce your support request queue while simultaneously boosting customer satisfaction. Sold per Technician and provides unlimited cleaning. One and three year terms available. Discount bundles available when paired with Defraggler, Speccy, and Recuva Tech Edition products. Even the best Techs need support once in a while. You can rest assured that we have your back with our Premium email support. Which Piriform solution is right for your business?